You think you’re funny; people tell you that you are funny, but how does one go from telling jokes at family parties and take it to the stage? For many, performing -show business in general- seems daunting, and exclusively for the chosen few. Well, those few started the same way, with desire and a goal. To get you off out of the living room and headed toward to the stage, Comic Bible Magazine has a series of tips, beginning with this; Part 1: Way Before the Stage. Decide if this is something you really want to do for a living. If you merely want to have fun, find an open mic, bring your friends and family, tell your jokes and have a good time. If you are serious about comedy as a career, that career stars with a deep desire to make people laugh and to be on stage. Think about where that path might lead you. If it is your goal to be a comedic star in movies or on television through stand-up comedy, know the statistics. Very few make it to level of stardom that Ellen DeGeneris, Will Ferrell or Tina Fey have. But, be assured that most who start out in stand-up comedy and work hard towards their goal, do make a successful living at it, in other aspects of the entertainment business and as touring comedians. With that ‘want’ and your goal in place, next, learn. Watch comedy stars, scrutinize their timing, their delivery, their jokes. 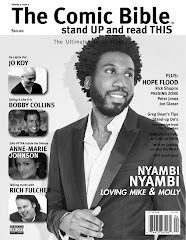 Read interviews with and books written by successful comedians. Learn the history of comedy, know who the greats were and how they became ‘great’. Read about the business of comedy and the entertainment industry online and in periodicals such as BackStage, Variety, Holllywood Reporter and The Comic Bible. Keep up with current trends in entertainment in all mediums. Know who the players are, and what is happening in the industry you want to be involved in. Comedy isn’t anarchy, it’s a business, and like any other business there are rules. There may be what seems like ‘no rules’ for major players –in any business. However, when getting to that level of stardom, there are rules. Not in forming your own joke style, or material, but most venues with stages and the people who book them have rules. If you want to earn respect -unless you are morally obligated to bend one, have respect for others rules. Comedy is a Business and you want a job. Like any other job, you have to do the work. While keeping your desire to be a comedian in place, consistently learning about the comedy and entertainment business and respecting the business aspect of stand-up comedy, work on your comedy material and your presence on stage. You wanted to be a comedian because you believe you are funny. Anyone can tell a joke, and a funny line will always make people laugh. Why do people laugh at yours? What about you and your personality makes people laugh at your jokes? Break that down. Take away the jokes and find your personality. That, your persona will be the core of every joke you write and tell, and that, your personality, is what will make you stand out as a stand-up comedian.